An All-Party Parliamentary Group (APPG) on Mindfulness has recognised JLR Product Engineering for its pioneering efforts in promoting the mental practice in the workplace. 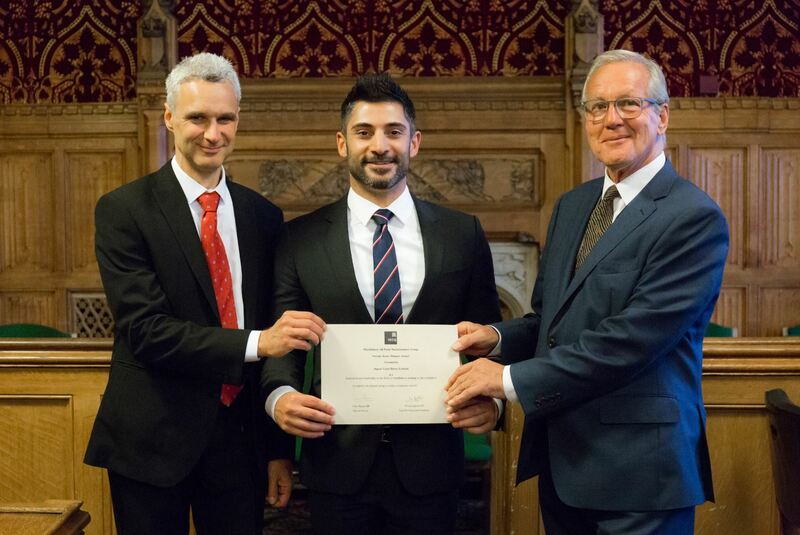 Parham Vasaiely, Engineering Manager (pictured centre) and John Dunn, Chassis Virtual Engineering Capability Manager (left) accepted the award on behalf of JLR in the Palace of Westminster, London. Parham is the Chair of the MAPPG Private Sector Group, whose aim is to investigate and promote the application of mindfulness in the workplace. The award ceremony was led by Lord Stone of Blackheath (right), Chris Ruane MP and Tim Loughton MP. Other entrants included Google, HSBC and Ernst & Young. Click here to find out more on mindfulness.